You can’t help but stop and admire the view. The Vanishing of Ethan Carter is an astonishing looking game. It uses a visual technique that transforms photographs taken of real objects into digital 3D assets. I found myself in partial imitation, stopping every few paces in the game world to take my own digital photos, trying to cram in as much of a vista as possible. 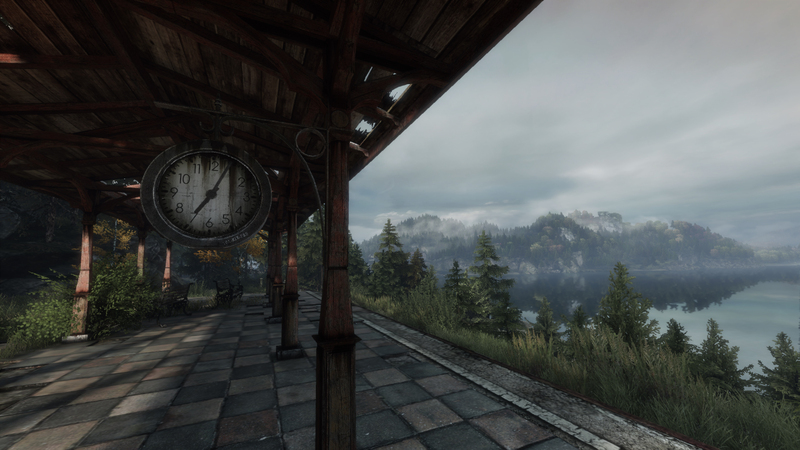 Ethan Carter’s world stands completely still; a railway clock hangs dead from an old decaying train platform. Much of the game’s visual beauty comes from the sun, which is stuck, just above the horizon. It’s an eternal, frozen golden hour that gives the entire world a wistful glow. The tone and atmosphere is what makes Ethan Carter special. It imitates the natural world wonderfully, the rush of water, the rustling of leaves, the breaths of wind. Amongst nature’s sublimity are odd moments, dream-like events that are bursts of pure imagination. There are trips to other worlds, a strange Lovecraftian entity threatening to break loose, spaces of impossible architecture and the lingering memories of the dead. It seems like it’s as much a game about mental wandering as spatial exploration. The story of Ethan Carter does leave a lot to the imagination. It’s imprecise and obscure; the whole thing is so light it may well blow away completely. However, more often than not game stories these days are guilty of the exact opposite. Take something like the over-orchestrated Bioshock Infinite, or any recent Hollywood sci-fi film for that matter. Stories like these often take on such dense forms, overload you with such detail and exposition that the core ideas begin to vanish beyond the event horizon. The purpose and impact of these stories are obscured by the shear critical mass of symbols and events on screen. In other words, the stories begin to lose touch with the things Ethan Carter is most in tune with – interesting ideas, as well as that real sense of a believable physical existence. I understand our taste for the grand and metaphysical, but sometimes smaller things can have just as much value and affect. 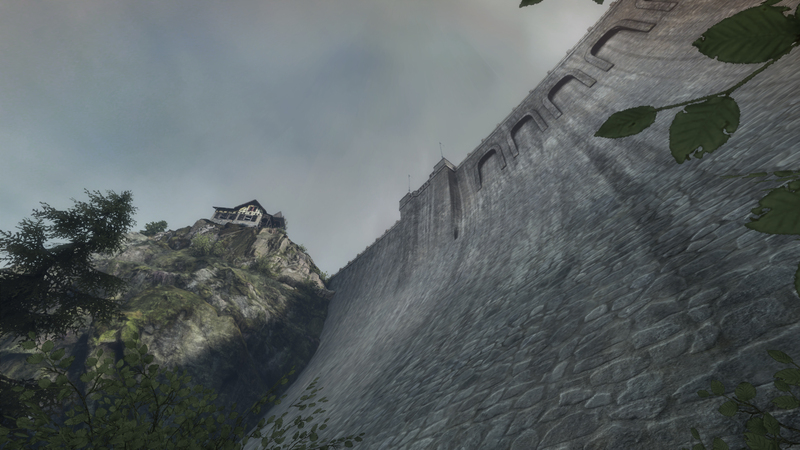 Ethan Carter is a strange one – it evokes the weird, eerie and uncanny. Although its ideas may be scattershot, I think it paints a beautiful picture with the handful of interesting ideas it has.